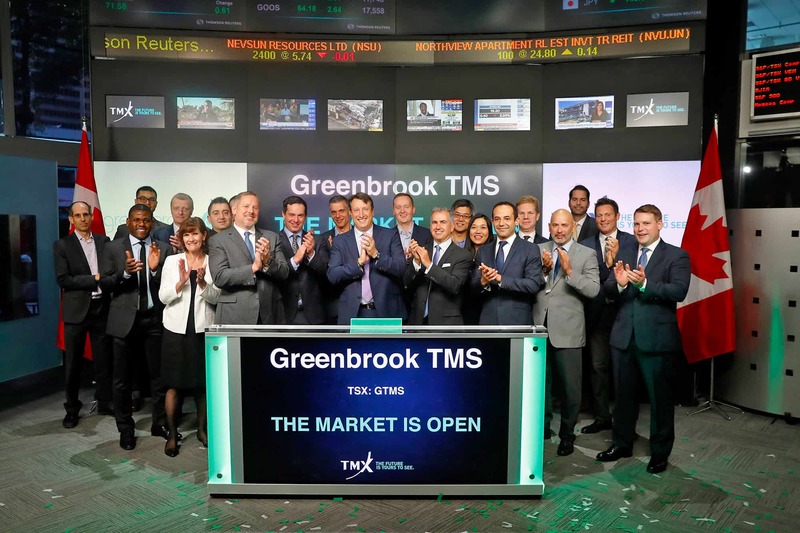 We are excited to share photos of the Greenbrook TMS NeuroHealth Centers team opening the Toronto Stock Market on October 12th. Michael Kousaie, Vice-President, Strategy and Product Innovation, Toronto Stock Exchange and TSX Venture Exchange, opened the market with Bill Leonard, President & CEO of Greenbrook TMS, Dr. Geoffrey Grammer, Chief Medical Office of Greenbrook TMS, Elias Vamvakas, Chairman & CEO of Greybrook Capital, Sasha Cucuz, President of Greybrook Securities Inc., Peter Politis, President of Greybrook Realty Partners, and several members of the Greenbrook management team. The Greybrook co-founded depression treatment centre’s business was founded in McLean, Virginia, in 2011 and commenced trading on the Toronto Stock Exchange on October 3, 2018. Greenbrook TMS provides Transcranial Magnetic Stimulation (TMS), an FDA-cleared, non-invasive therapy for the treatment of Major Depressive Disorder (MDD), with more than 160,000 treatments to over 4,500 patients to date. Visit the Greenbrook TMS website for more information about TMS therapy.